Summertime is the absolute best time to enjoy salads. From light, crisp and cool to straight from the grill, these six salads can be a refreshing start, a savory side, or flavorful finish to any meal. 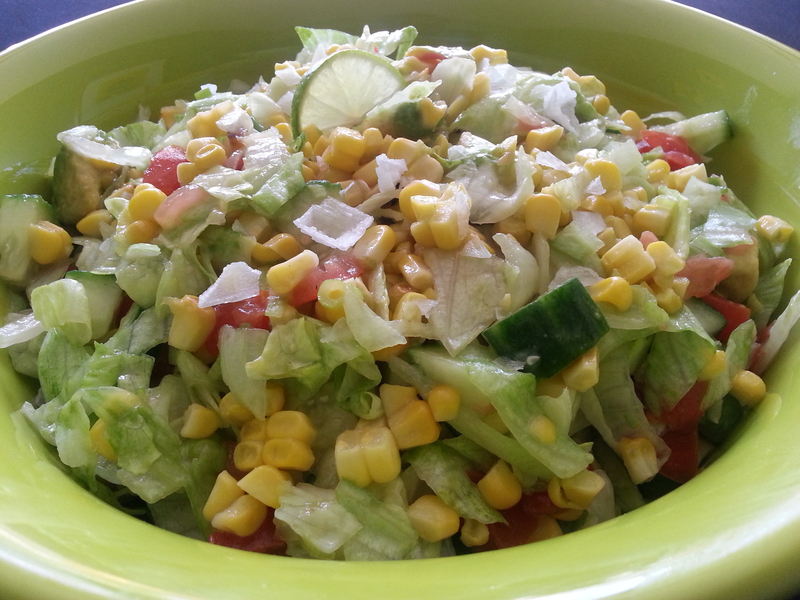 Grilled yellow corn (cut from the cob), chopped iceberg lettuce, diced cucumber, tomato, and avocado, and finely chopped scallion tossed in sea salt, ground pepper, fresh squeezed lime juice and avocado oil. Spring mix (or your favorite salad greens), sliced cucumber, bell peppers and avocado, grape tomatoes and shredded carrot tossed in a zesty citrus dressing made with a Dijon Honey Mustard, fresh squeezed lime and orange, sea salt, ground pepper and vegetable oil blend. Cut peaches, pineapple, watermelon, mango, kiwi, strawberry and blueberry drizzled with balsamic reduction and sprinkled with Chia Seeds. Chopped cucumber, tomato, and scallion tossed in white vinegar and sea salt and dusted with ground pepper. Summer Squash, Zucchini, Eggplant, Asparagus, Porcini Mushroom, Bell Peppers, Corn and Shallots sprinkled with coarse sea salt and drizzled with olive oil. 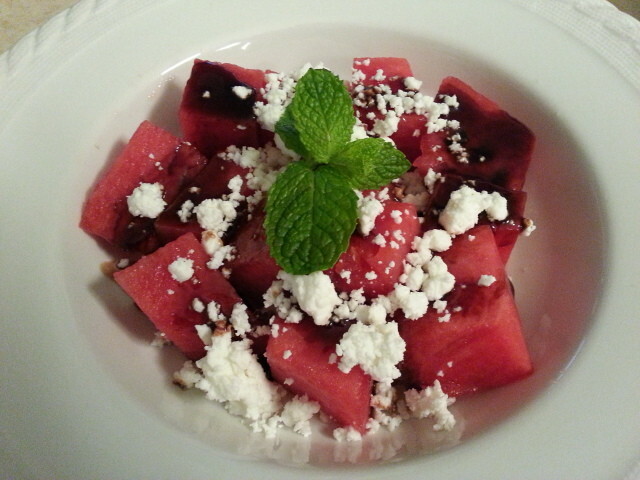 Cubed watermelon, wetted with balsamic reduction, topped with crumbled goat cheese and adorned with fresh mint. Enjoy these savory and sweet summer salads all season long. For more recipes visit us at www.jadegrill.com for these and other recipes. 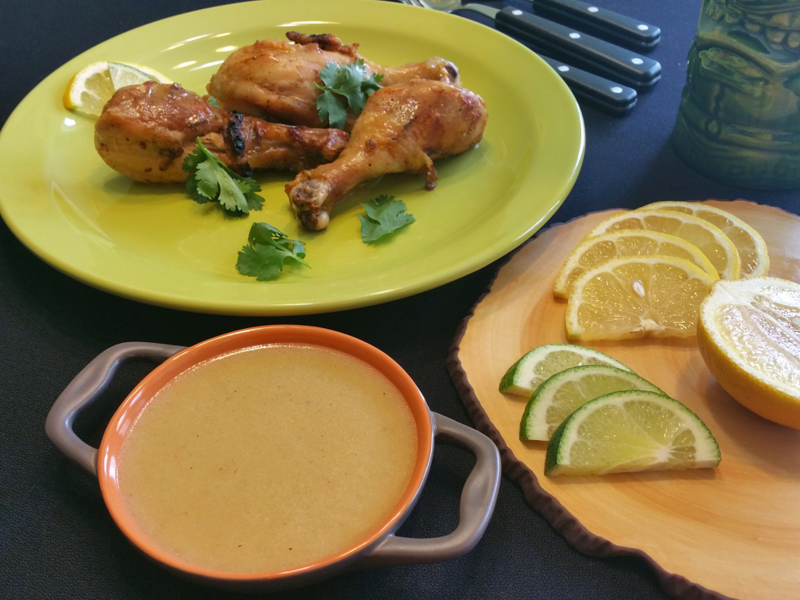 After a three-month, two-state round of spicy cooking demos at Williams-Sonoma stores in New York and New Jersey, my spring demos have come to an end. But, don’t worry about a thing. You can have your spice and eat it too all year long! The Spice of Life menu featured Jerk Salmon with a Citrus Garden Salad, Spicy Black Beans, and Fried Chicken Tenders with my JADE brand Pickled Pepper Preserve. Some recipes – including the Spicy Black Beans and the Citrus Dressing were featured in earlier posts. Today, however, you get to feast on Fried Chicken Tenders with JADE Pickled Pepper Preserve – juicy white meat that’s tender on the inside, crispy on the outside, and hot and flavorful all over. Combine ingredients in a 1-gallon food storage bag, seal tightly and shake until blended. Add vegetable oil to medium frying pan and heat at medium temperature. Place half of chicken tenders into flour mix and shake to coat. Lay tenders into hot oil and let fry 4-5 minutes on each side. Remove tenders and lay on paper towel to drain and cool. Repeat steps 3 and 4 to fry remaining tenders. 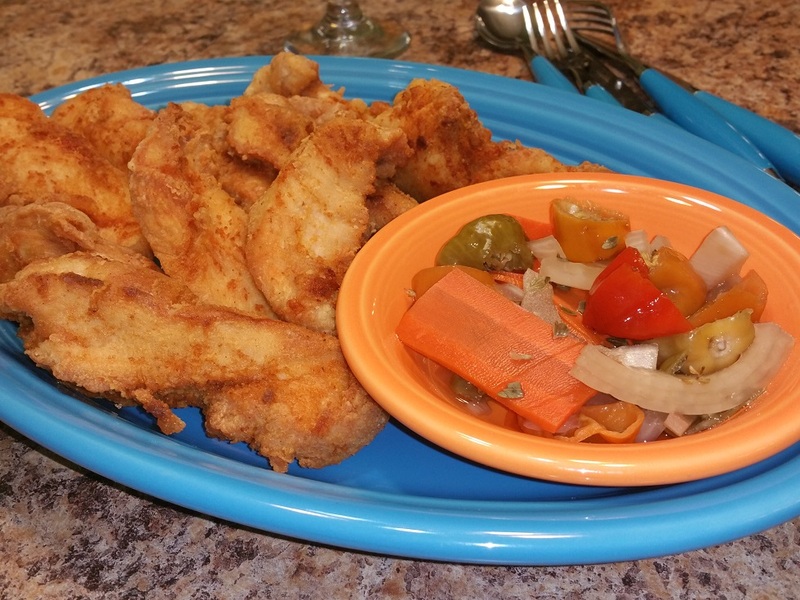 Place fried tenders on a serving platter. Spoon some JADE Pickled Pepper Preserve into a small bowl and serve alongside tender. Or dress tenders directly with preserve. Enjoy this spicy bite when only a stiff kick will do! Get it at JADE Jamaican Grill. I’ve been mixing things up at Williams-Sonoma stores in New York and New Jersey with this zesty Citrus Dressing. It’s fresh, fruity and savory using a few staple ingredients. Just another way to dress up a summer salad, grilled veggies, seafood and chicken! In a small mixing bowl, combine ingredients and whisk vigorously until blended. Spring has sprung and you know what that means! 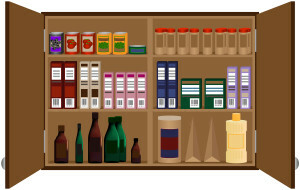 Time to clean the pantry! I know cleaning isn’t the most fun, but it’s gotta be done. On part two of my Spring Has Sprung segment with Jennifer Lewis Hall on “Life Advice” on Magic 98.3 FM, I share tips on staple pantry picks, checking food labels, organizing the cupboard for ease of use, plus infusing oils, vinegar, mustard and more for innovative culinary creations. Take a listen (Scroll to Show #382). 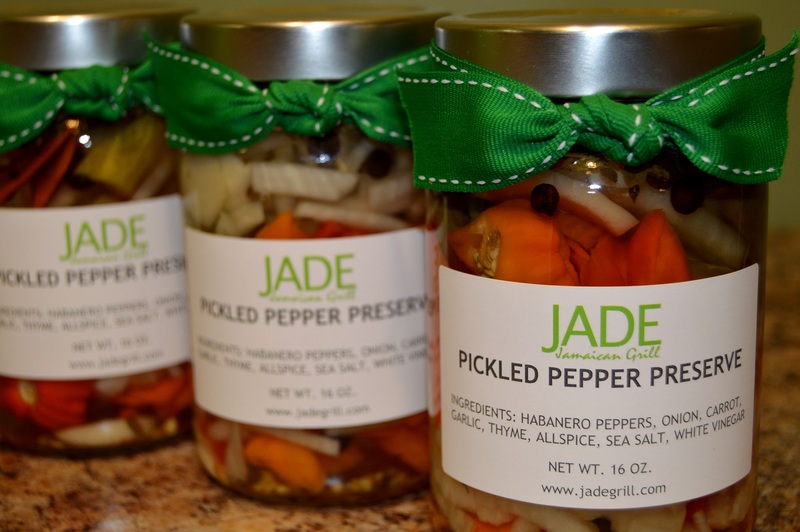 For shopping tips, recipe ideas or help with a special event visit me online at www.JADEGRILL.com! And be sure to post your comments here. I look forward to reading them! 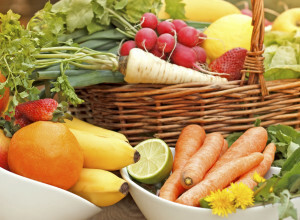 Spring has sprung and with it a bounty of seasonal fresh fruits and vegetables. 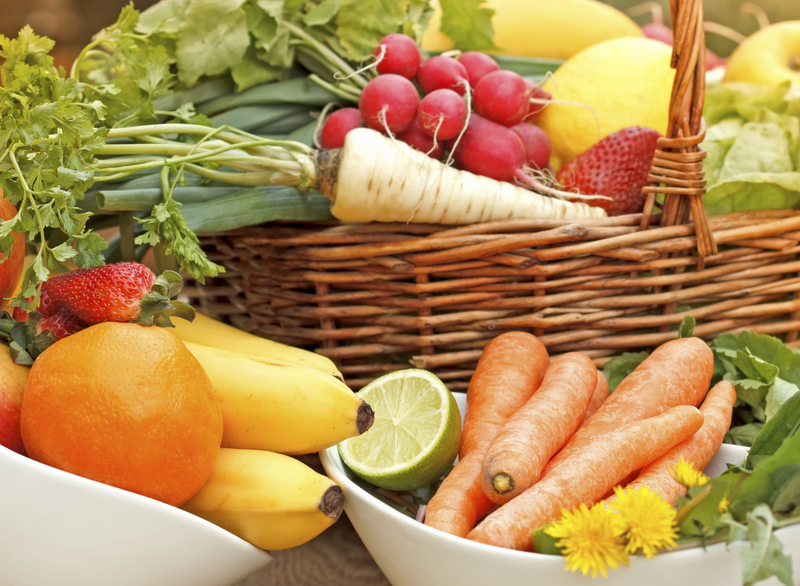 On a recent episode of “Life Advice” on Magic 98.3FM, I talk with Show Host Jennifer Lewis Hall on what’s in season and how to pick and prepare them. Take a listen (Scroll to Show #381). Stay tuned for the second part of my two-part series featuring spring cleaning your pantry, where I dish on staple spices, oils, dried beans and more to have handy, plus tips for whipping up a quick and delicious meal on the fly! 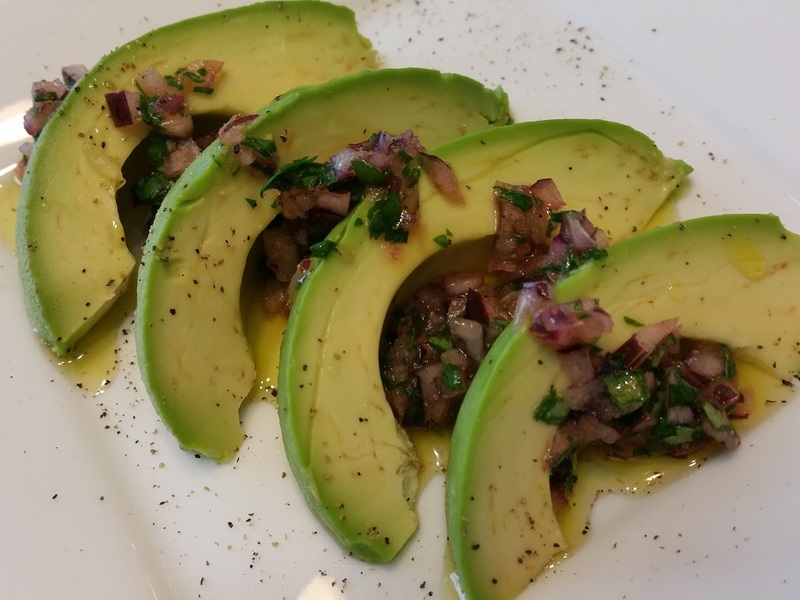 In a small mixing bowl, combine red onions, cilantro, oil, lime juice and sea salt and toss together using a spoon. 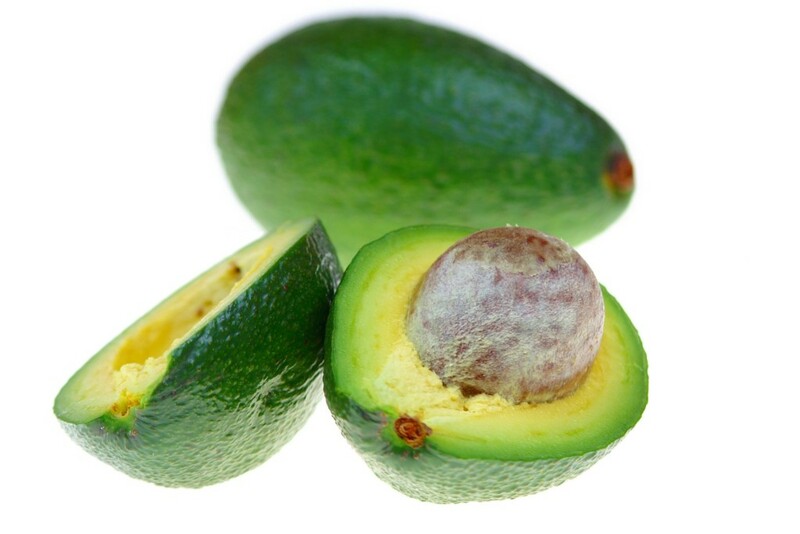 Place avocado slices on a platter and top with mixture.